LP Mount-All Brackets offer a secure, versatile mounting system for 3/8″ diameter mountable percussion, cymbals, and bar chimes. The brackets are made from chrome plated steel and firmly attach to rods or stands from 3/8″ to 1 1/8″ diameter using a reversible “V” bracket. 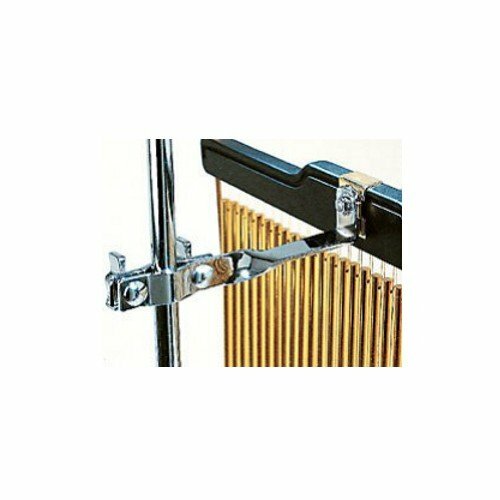 This is an ideal bracket for LP Bar Chimes. It mounts perfectly to the anti-twist plate found on LP Studio and Concert Series Bar Chimes for solid placement.